When is it time to redesign your website? 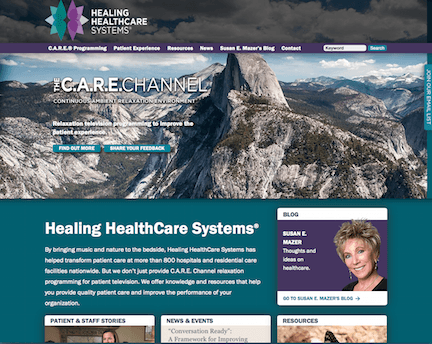 Healing HealthCare Systems waited 10 years. Probably too long. But when they were ready, I managed and directed the content development, navigation, design, and launch of new website for this company that produces The C.A.R.E. Channel nature video and music programming for patients. Since it’s launch in October 2013, unique visitors to the site have increased almost 60%.